Dave Wiviott has a passion for the moving business. Something he must have picked up from his father Doug. What Dave likes about coming to work every morning is that every move is different and every customer has a different story which makes working with them fun, sometimes challenging, but always interesting. Unlike many household good forwarders, Dave enjoys working directly with his customers from start to finish. Being a bit of a technology nerd, helps too, as Dave has been able to incorporate his computer skills in his day to day operations, making the communication and overall fluidity of every move that much smoother. 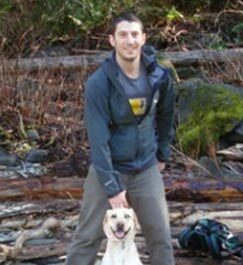 In his spare time Dave enjoys spending time hiking, boating and taking advantage of the Northwest’s great outdoors with his wife, friends and family which includes his trusty yellow lab, Luna. “Do your homework!! The internet has really helped our customers in many positive ways but has also allowed many “scammers”to prey on them as well. Moving your personal effects door to door across the world is not inexpensive. If the price you are quoted sounds too good to be true, it probably is. Seek estimates from reliable moving companies with a history of performance and satisfied customers.